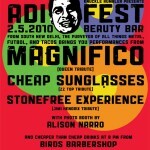 Our good friends Knuckle Rumbler are throwing down on a party tonight at Beauty Bar called Adi Fest. Who is this Adi person you say? Well he’s one of the most widely known music journalists in town currently working for the Austinist. As always with a KR event, expect great things like an Alison Narro photo booth, DJ Prince Klassen spinning in bewteen sets, and of course the complimentary beverages that start at 8pm and end when the free booze is gone. 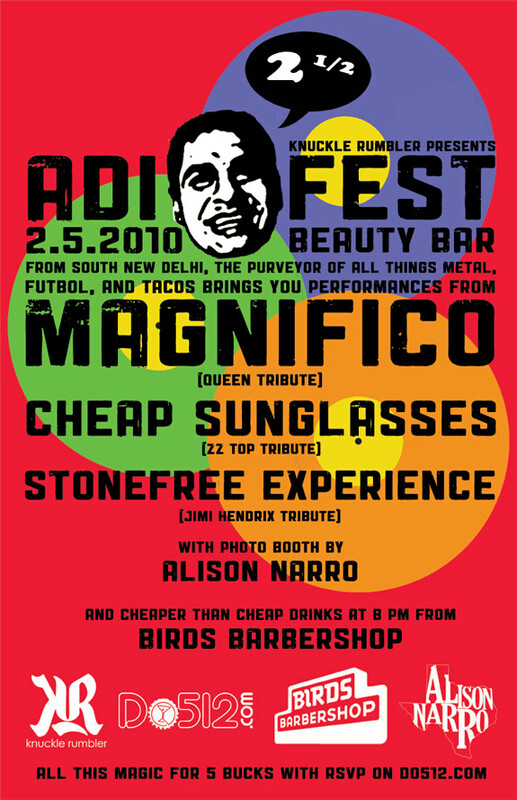 Music for the night is all tribute bands and includes Stonefree Experience (Jimi Hendrix), Cheap Sunglasses (ZZ Top), and Magnifico (Queen). This is definitely the place to be on Friday night. 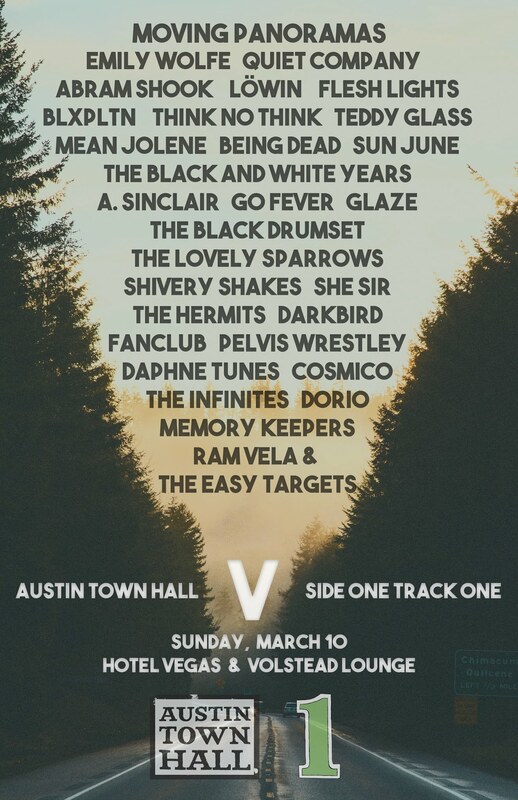 RSVP at Do512 for $5 entry.